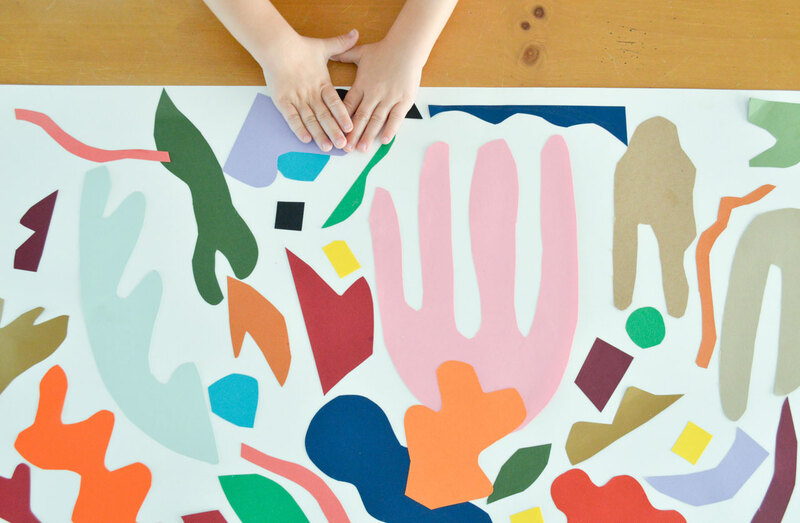 Using the work of a specific artist as inspiration can be a fun activity with budding young creatives. 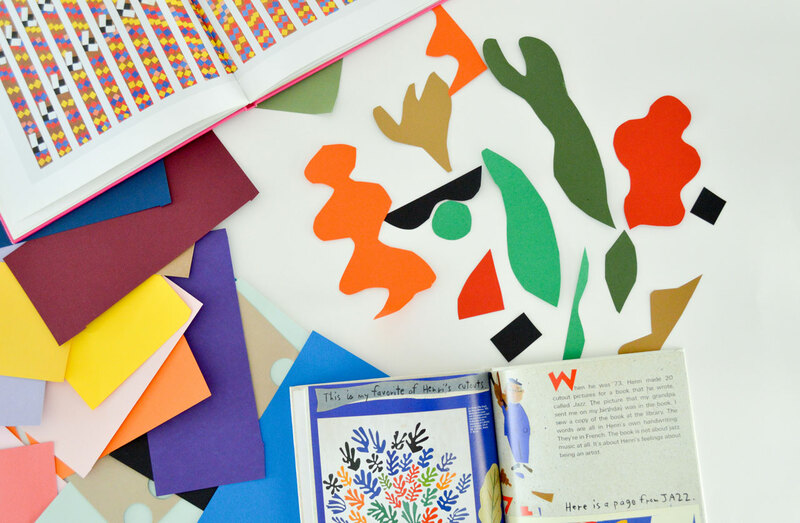 Recently, I’ve become quite involved with paper cutting as an art form and consequently have a large box full of colorful paper scraps, just waiting to be used. 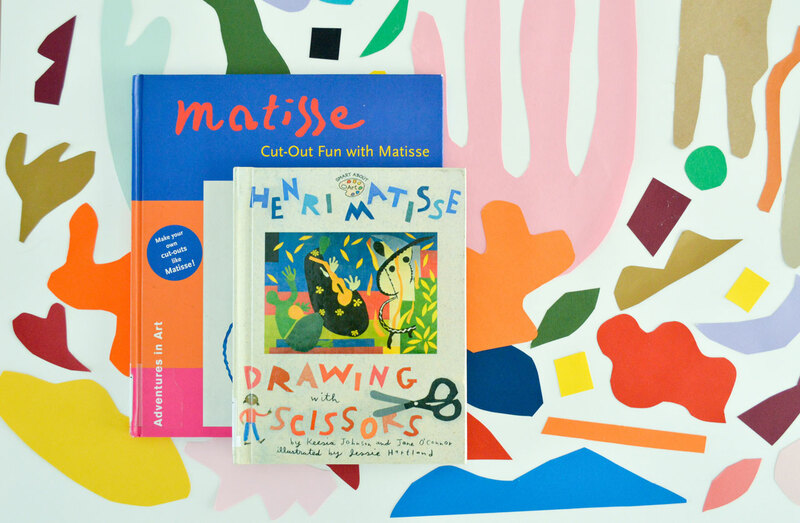 We ran across two books covering the later works of Henri Matisse (Henri Matisse: Drawing with Scissors, by Jane O’Conner, and Adventures in Art: Cut-Out Fun with Matisse) otherwise known as the “cut-outs,” at the local library. We learned all about how Henri spent the last years of his career “painting with scissors” instead of a brush, creating bright and colorful scenes constructed out of colorfully painted paper. We decided to use these books as inspiration and put our scissors to work. 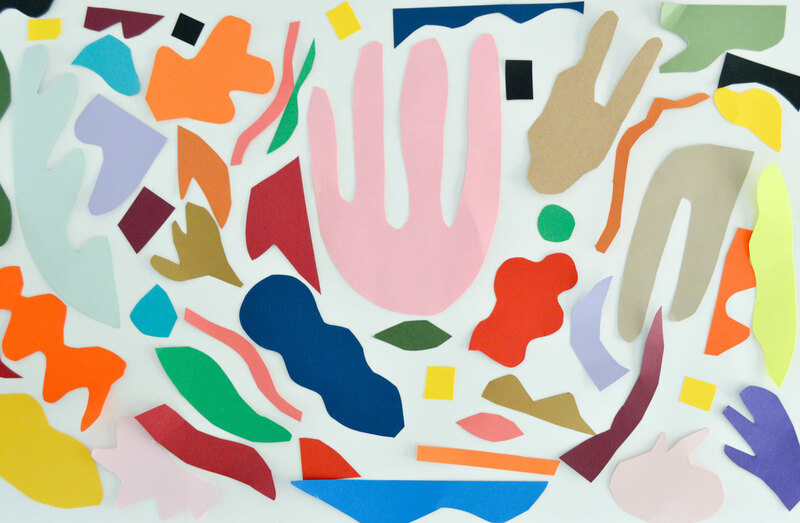 If you can’t get a hold of a book about Matisse, you can also do an image search of “Matisse cut-outs” and read more about his career and technique here. We spread out our paper, and opened our books. I was working with my toddler, who is not very skilled with scissors yet, so he helped me find the right shapes to recreate and I did the cutting. This turned into a fun open-ended activity as we imagined all the different things the shapes could be! 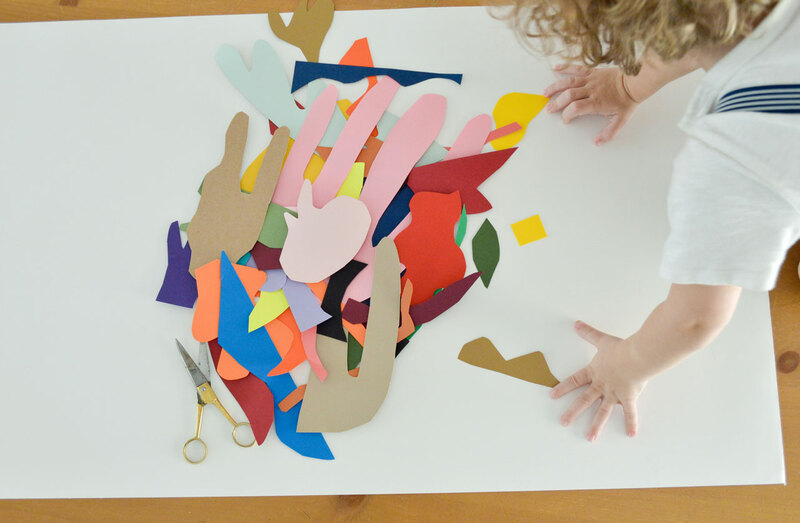 Next, spread all of your shapes out on your paper or workspace and have fun arranging them! A lot of our pieces unintentionally fit and moved together in a way. 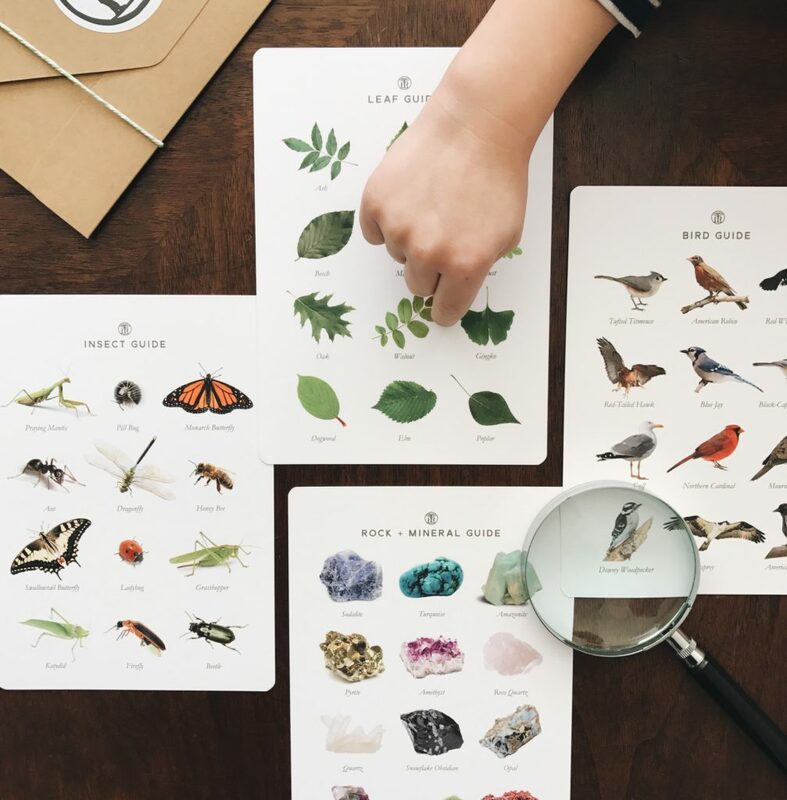 This is a great way for kids to evaluate how colors interact with each other and also to examine the use of white space and the form of the shape-all without realizing they are doing it! Play around and try different arrangements until you’re satisfied. Now it’s time to glue your shapes down. 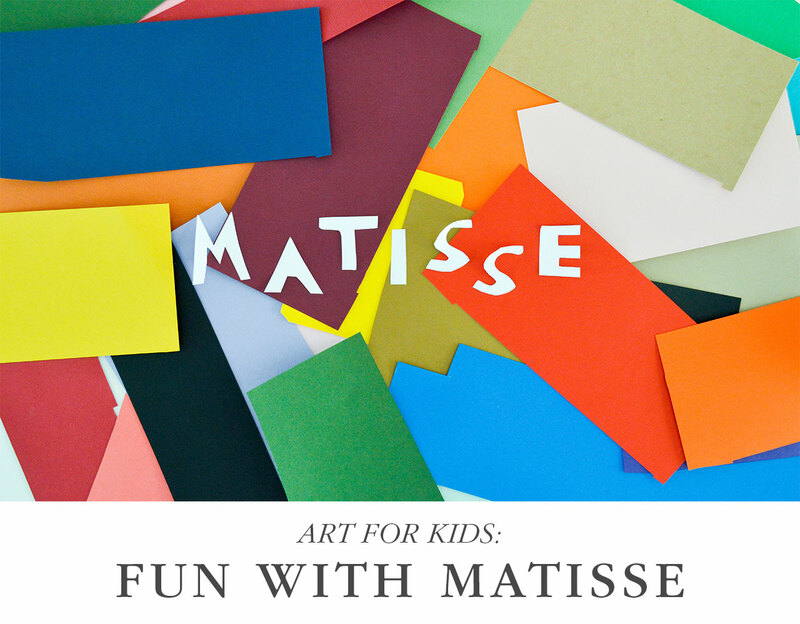 This part is especially fun for toddlers and young children who enjoy gluing! Our design ended up changing and evolving as we secured the shapes down.